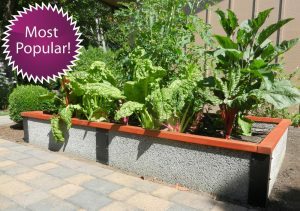 The BEST Raised Garden Bed You'll ever Have! 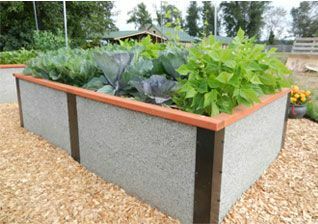 Durable GreenBed raised bed garden kits are designed using a unique, eco-friendly, recycled woodchip/concrete composite that will last for 25-years or more and capable of withstanding all weather extremes – will not rot, crack, peel, rust or splinter. 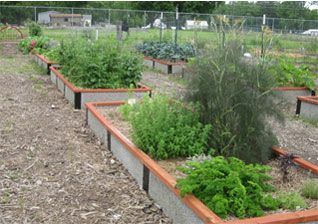 GreenBed raised garden bed kits are the perfect solution for a backyard garden, a permanent landscape or for large school, community or urban garden. Environmental friendly and safe. 100% nontoxic and highly recycled materials. Durable. Won’t rot, crack, peel, rust or splinter. 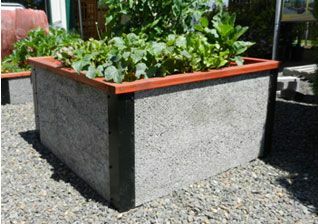 Will out perform any wood, plastic, or metal raised garden bed. 25 year guarantee. Easy to assemble. Most kits can be assembled in an hour or less with simple tools. Attractive and versatile. Our beds are a beautiful addition to any outdoor space and can be easily stained to match your home or color scheme. Multiple sizes and heights provide easy access and provide plenty of design options. Custom sizes available. Free Shipping and Discounts. When you order two or more kits, the shipping is free! Cumulative discounts from 10%-15% on three or more kits plus additional garden tools. See our discounts page. 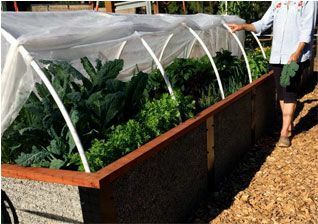 Breathable panels, and deep planting maximize yields for square foot gardening, and even repels snails! Why are Durable GreenBeds Better than Wood? 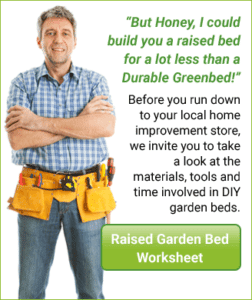 When you compare Durable GreenBed to other raised bed systems, we think you’ll agree they are worth the price. Our kits just make dollars and sense! Most wood garden beds will begin to rot, crack, warp or splinter in a very short period of time and within 6 to 8 years you will need to replace them again. Plastic beds can crack under the sun in a short period as well. This forces you to spend money and rebuild beds rather than focus on your garden. 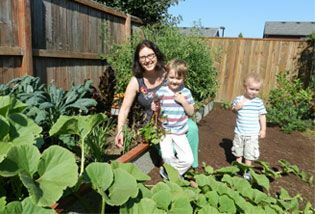 To get an idea of the real cost of owning a Greenbed versus a traditional wood raised bed, we need to look at cost over the lifetime of your beds. First, there is the initial purchase cost, of course, but ownership can also bring substantial costs for installing, maintaining and replacement of your beds over time. So durable, it's a smart investment. 4 x 8 x 1 ft.
4 x 8 x 2 ft.
4 x 4 x 1 ft.
4 x 4 x 2 ft.
4 x 12 x 2 ft.
4 x 12 x 1 ft.
We are so passionate about giving back we offer special discounts for community, church, and school gardens, and other non-profits as well as Senior facilities. 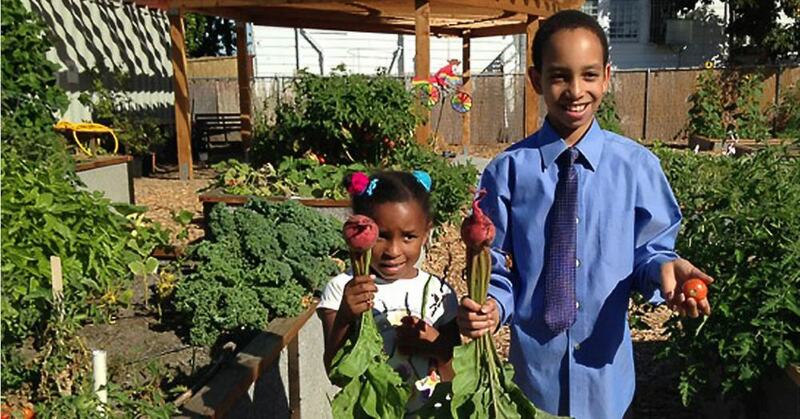 Here at Durable GreenBeds, we could not be more pleased that the use of our sustainable raised garden beds is bearing fruit and veggies for so many worthy organizations, while providing a sense of community and connection to the environment. Are you a professional landscaper? 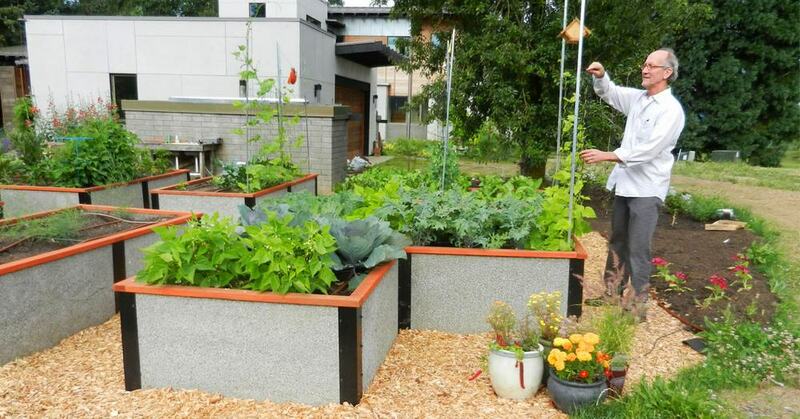 Durable GreenBeds are for more than just vegetable gardens. Many landscape professionals are using our GreenBeds in their projects. 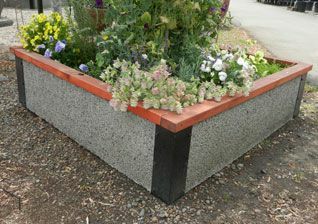 Durable GreenBeds are a attractive, cost-effective alternative to traditional retaining walls and planters. 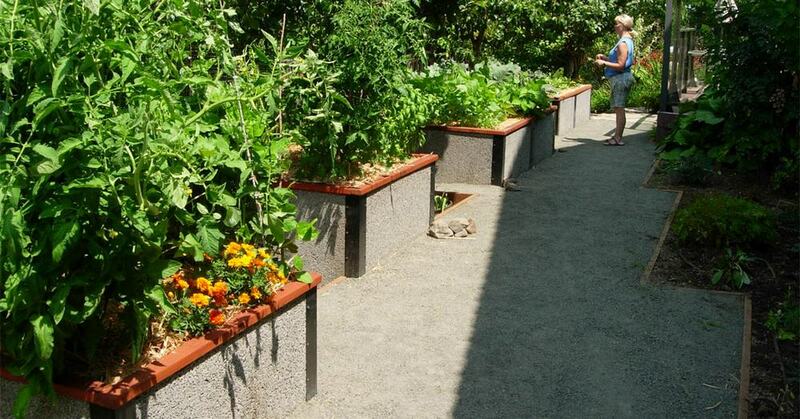 Made from rot resistant materials, planters can be partially buried. Perfect for hillside installations. Many sizes and configurations available including our two-tier planters. Don’t see the configuration you’re looking for? We can make custom sizes and shapes. Just call for a custom quote. New in 2017, wider top trim. We realize that many people like to sit on the edge of our beds. This wider trim makes for more comfortable seating and a more polished look in landscapes. We have discounts for the professional landscapers too!